Connemara Bay Fishing Charters offers deep sea fishing (striped bass, haddock, cod, tuna and more), lobstering tours, and clambake/lobsterbake cruises in and around the waters off Cape Ann, Massachusetts, including Gloucester, Rockport, Manchester and Ipswich. Giant Bluefin Tuna fishing provides an adrenaline pumping experience. Book a charter to seek a fish that can be over 1000 pounds and swim up to 50 mph. Ground fishing trips for cod, haddock, pollock, cusk and more deep sea fish allow us to send you home with your coolers full of fresh white fish. Charter the Connemara Bay for a lobstering tour. Get your hands dirty and learn about this sustainable commercial fishery. Plus you get to take home a lobster for dinner. Shark fishing charters in Gloucester are becoming popular. Fighting some of the oceans meanest predators can be a daunting task but, many find fascinating. 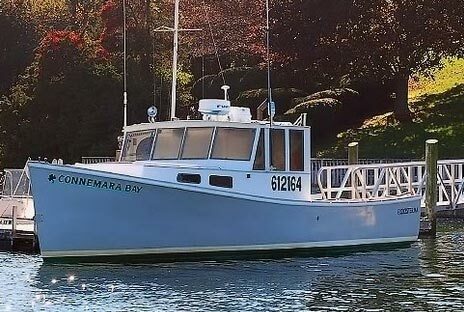 The Connemara Bay is a 37-foot traditional, “Down East”-style Maine-built boat with plenty of deck space. It accommodates up to six passengers. The boat has modern electronics and meets all coast guard regulations. Its homeport has been in Gloucester, Massachusetts since its existence. You will not regret booking a deep sea fishing charter on this boat. 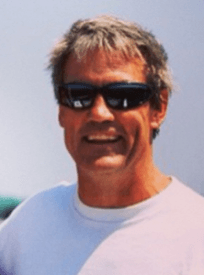 With over 35 years experience deep sea fishing in Gloucester, Kevin is a knowledegable captain and a great teacher. Be prepared for some high energy and fun times when this guy is running the boat. Dan will keep your lines untangled and he is a great teacher. When he’s not onboard the Connemara Bay, you can bet Dan has a fly rod in his hand and is working some light tackle. Catch n Eat: Lobsta Land Restaurant will cook your catch after your fishing charter. Sick of cooking? Are you staying at a hotel with no place to cook? No Problem! 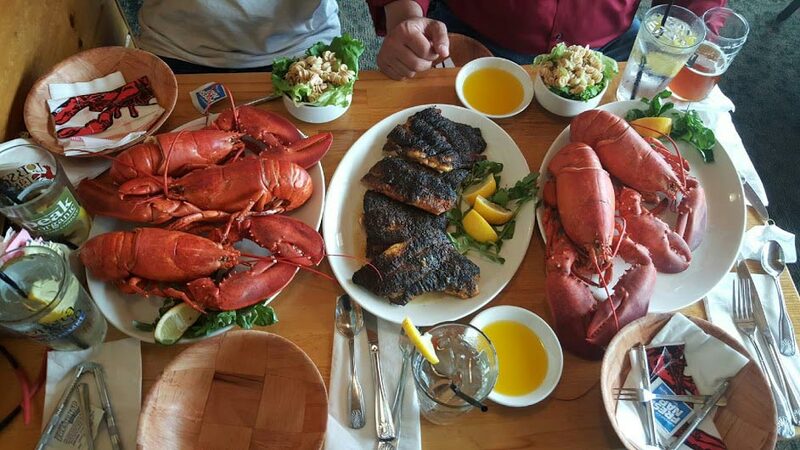 Let our friends over at Lobsta Land Restaurant do the work for you. If seafood is not for you, Lobsta Land also has a wide variety of options and are highly recommended by the captain and crew of the Connemara Bay. Multiple trip types and options. Most of our guests onboard the Connemara Bay are looking for a once in a lifetime deep sea fishing experience. We have multiple trip options designed to bring this time on the water to you. We can target striped bass, bluefish, cod, haddock, sharks, tuna and even lobsters! Take part in hauling in lobster traps with the Connemara Bay crew! If charter fishing isn’t your cup of tea come along for an authentic clam/lobsterbake cruise and take in the views such as the Dog bar Breakwater, Ten Pound Island, Hammond’s Castle, The Annisquam River and more. If you have other ideas, let us know — we’ll do our best to accommodate you. A memorable, fun and even educational experience. The Connemara Bay is a working lobster boat when not out on a fishing charter. Captain O’Maley and his crew bring their deep knowledge of Gloucester’s local waters and sights, interesting personalities and their Gloucester-specific take on the well-known Massachusetts accent to each and every trip. A hands-on or hands-off trip. Have you always wanted to snag a lobster buoy and haul up a 10-pot trawl with the hydraulic winch? Do you want your kids to learn how to bait or set a lobster trap? Maybe you just want to sit back and watch the well-oiled team on the Connemara Bay and have them set your hooks, unsnag your lines, clean your fish and band your lobsters. It’s your fishing charter or lobster tour, so you can keep your hands squeaky clean or get ’em dirty. No matter what, you’ll have a great time. When you spend as much time out on the water deep sea fishing as we do, you should be familiar with these resources. 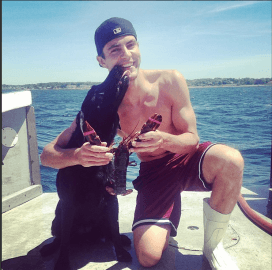 These websites have been extremely helpful to us deep sea fishing Gloucester Some are great New England reads and others will provide you with high quality equipment to meet your nautical and fishing needs. 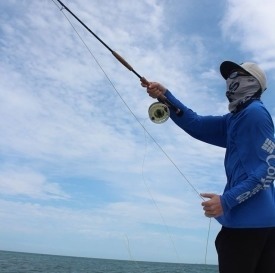 http://fish.shimano.com/ All of our striped bass reels are equipped by Shimano. http://www.pennfishing.com/ Our Tuna & Cod reels are equipped by Penn. http://www.onthewater.com/ If your looking to hone your fishing skills read this. Mass Bay Buoy This weather buoy show live sea conditions.